One of the ‘big three’ energy retailers, AGL is giving Australians a couple of good reasons to consider reviewing their current electricity plans. Boasting all the big provider benefits you might expect – like 24/7 call centre support and a wealth of online tools to understand your energy usage habits and manage your account – AGL also provides some compelling energy offers, backed by big conditional discounts and other sign-up incentives. Two plans that deliver on this front are the AGL ‘Savers’ and ‘Savers Home Connect’ plans. If you’ve come across these deals and want to know more about how they work, and what they will cost you, you’ve come to the right place. What is the AGL Savers? Savers is one of AGL’s variable rate plans offering residential customers pay on time discounts as high as 30% for 12 months off usage rates. Depending on which state you live in, you could receive a small sign-up credit, plus a generous amount of flybuys points if you signup online. What about the AGL Savers Home Connect? The AGL Savers Home Connect is much like the Savers plan but generally includes a slightly smaller discount. It is a variable rate plan with a guaranteed discount off usage and supply charges for a benefit period of 24 months, as opposed to 12 months. The Savers Home Connect also includes an Amazon Echo Dot smart device and a generous amount of flybuys points when you sign up online. 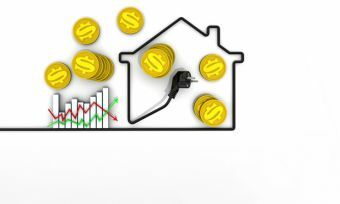 AGL does offer some competitively-priced energy plans, often pairing with some of the biggest discounts in each state, like the Savers and Savers Home Connect. That being said, you should pay attention to other features of these plans, as discounts and incentives do not always represent the cheapest overall prices. Be aware of which deals are available in your area, as some products in one state may not be the best choice in another state. Remember, large discounts may be concealing higher rates, so make sure you compare energy price factsheets. To save you time, we’ve explored the rates of the AGL Savers and Savers Home Connect plans to give you an idea of what you should expect to pay. These calculations are based on typical three-person households, living at specific postcodes in each available state, so it’s best to enter your details into our comparison tool above for a more accurate quote in your area. Calculations based on a three-person household connected to the Citipower electricity network in Melbourne on a single rate tariff. Prices will vary for those living on a different electricity network. Calculations based on a three-person household connected to the Ausgrid electricity network in Sydney on a single rate tariff. Prices will vary for those living on a different electricity network. Calculations based on a three-person household connected to the Energex electricity network in Brisbane on a single rate tariff. Prices will vary for those living on a different electricity network. Calculations based on a three-person household connected to the SA Power electricity network in Adelaide on a single rate tariff. Prices will vary for those living on a different electricity network. Calculations based on a three-person household connected to the Ausgrid network in Sydney on a single rate tariff. Prices will vary for those living on a different electricity network. You can check out how the Savers plan and Savers Home Connect plan compares to other energy providers in your area via the links below. And don’t forget to use our comparison tool for a specific quote in your area. Is AGL Savers a lock-in contract? No, the AGL Savers offers a no lock-in contract for customers in Victoria, New South Wales, Queensland and South Australia. There is, however, a 12-month benefit period to receive the pay on time discount. This means the discount may disappear after the first year unless you get back in touch with AGL to discuss your options. The AGL Savers Home Connect also offers a no lock-in contract and a 24-month benefit period for its discount. Both of these products are variable rate plans, not fixed rate. What does that mean? Well, variable rate energy plans mean that your retailer can change the rates it charges you at any time, provided they have given you notice. If you live in New South Wales, Queensland or South Australia, keep your eyes peeled for price changes in July, or January if you call Victoria home. Does AGL Savers have a solar feed-in tariff? If you’re leaning towards a solar plan, AGL offers a range of solar products, and if you need help finding the highest solar feed-in tariffs by state, visit our page for further details. Does AGL Savers have GreenPower options? While opting for GreenPower programs shows that you’re conscious of your impact on the environment, there is a common misconception that you’ll be getting power from renewable sources. However, as all electricity is sourced from the National Electricity Market – which includes power from coal-fired power plants – no retailer can claim that customers are purchasing green energy. Instead, GreenPower works to support investment into renewable power generation, rather than actually supplying you with green power. These plans will also incur fees for paper bills if you don’t subscribe to email billing. On the plus side, there are no exit fees if you decide to go with another deal down the track. Is the AGL Savers plan right for me? Based on each plan’s current rates, the AGL Savers and AGL Savers Home Connect appear to hold some decent value, particularly if you’re keen on earning flybuys points and would like an Amazon Echo Dot for your home. AGL also has its own rewards program which brings some additional value for those who like to bag a bargain. Another factor worth pointing out is that both of the Savers plans are not locked in with a fixed rate, meaning there is a chance rates could fluctuate in the future, but if that’s the case, AGL should notify you in advance. If you can’t overlook incentives, online sign-up bonuses, as well as discounts and access to AGL Rewards, then the Savers or Savers Home Connect products may be a suitable option for you. However, if you’re a bit of a stickler for detail and want a more competitive deal on power rates, then you could be better off comparing a wider range of up-to-date energy deals through our comparison tool. Hit the link below to get started.